The penultimate race of the Central league cyclo-cross was a good deal warmer than the previous round at the National Bowl in Milton Keynes. The conditions in Kettering were muddy but with the grass being noticeably shorter I was hoping to get to finish this one with my bike intact. Dave and Adriana arrived shortly after me and told me they had something for me. I was surprised and greatly honoured to receive the NBRC Quillum cyclo-cross trophy, graciously handed to me by last year’s recipient Mr David Goodhew. 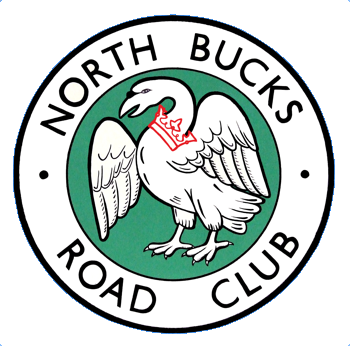 Since joining the club in the autumn and switching from Team Milton Keynes as my primary club, I have started to enjoy racing in a team again and I am proud to wear the NBRC colours. On a personal note, it’s been great getting to know Dave and Adriana better, who share my enthusiasm for cross and have been very supportive along the way. Cheers guys! After the jocular mob of racers was gridded and hushed, the whistle blew and the race started. It was a tough course, energy sapping and slippery with an abundance of sharp hawthorn bushes to get snagged on. Having warmed up on my mountain bike the cx bike was clean and the first lap was pretty good for me, I made a few places and found myself right on the lead group. As the race progressed the build of mud started to slow me down and I lost contact with the front runners, I figured I was still in the shout for some points and wanted to defend my position, taking a quick look over my shoulder (as a rule I don’t like to look over my shoulder much) confirmed I had a good gap on the chasing riders, so I eased up a little as the riders ahead steadily pulled away. I was desperate to finish this race (the previous three had been ended prematurely by mechanicals) so with two laps to go and my gears clogged and tyres tread no longer getting any purchase, I nursed it home, not shifting gear unless absolutely necessary and fretting when I did. I slogged it to the finish in a distant 10th place, but that’s okay considering the conditions and lack of a pit bike. Before the start of next season, I will be looking to put together a second bike. This year it has become obvious to me that it’s absolutely necessary to have a pit bike if you want to be competitive when the muddy conditions arrive; and I do. Saturday meant time for me and Adriana to cram two bikes and three pairs of wheels into a Ford Fiesta and set off to Kettering. Club had presented us with three trophies and Tim’s was packed ready for presentation. I was tempted to not ride the course for practise but was eventually persuaded to take a look. The circuit was quite up and down and took us on a long route round the area of grassland and young woodland, I was concerned that I could have a major off on the fast downhill, we would see. Made good start and was ahead of Tim for a minute or two, unfortunately I crashed out a few times within the first few turns, there was very little grip to be found today and each mistake made me chase harder and have a few more falls. I was soon in no man’s land with a faster group well ahead and a group of people who normally finish lower were now riding well and a challenge to my position. Traction was getting worse on the climbs with a particularly testing push up a drag and very sticky conditions after the hurdles, my best smooth pedalling couldn’t get the tyres to hook up. Eventually I could see that my dread of doing five laps was to be replaced by disappointment as Sean Dines and Mike Simpson were getting close to lapping me (a first for this year). After being overtaken by Greg Simcock and Mick Jackson in the gloop I am convinced they must have had better tyres or running a better pressure for conditions as the came past at twice the speed. A clean bike every lap does make a difference in conditions such as these although my bike was still working ok considering how much mud it was holding. Finished up 20th which is pleasing as I must spent 2 mins on my arse. 10th for Tim is spectacular comeback worthy of his Quillium Cyclocross Trophy! Adriana had an enjoyable race and looked much better than me on ground that was getting more and more cut up. It was all mud by the end of our race. I let a bit out her back wheel so she could drive forward on the flats and she did out run some riders on the bike carrying and pushing parts. She came in 5th overall and 4th senior. She forgot to turn on Garmin so this will remain a Strava free ride.